The year is 25% done and here’s some of the music that’s been bubbling to the top of the Echoes playlists during April. Of course, Lyla Foy’s April CD of the Month, Mirrors the Sky is number one and deservedly so. Look for live performances and interviews with Foy in the next month or so. 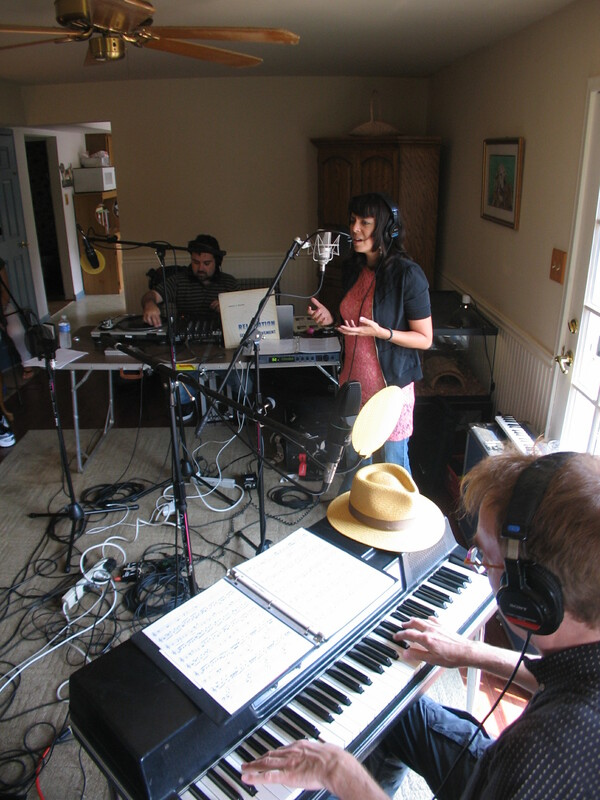 She’s followed by six more singers, beginning with Thus Owls, who I happen to be listening to on-air right now doing a phenomenal live Echoes set. It’s great to see Hiroki Okano return to Echoes with his new .jp album. He was a fixture on the show in the mid-90s. And Steve Roach returns to the Echoes Top Ten with Spiral Meditations. Join the Echoes CD of the Month Club. and get the #1 Echoes Album for April, Lyla Foy’s Mirrors the Sky, the April CD of the Month. You’ll get great CDs and help support Echoes at the same time. You can do it all right here. Hans Christian was one half of the group Rasa with singer Kim Waters, but before that he was a solo artist mixing his cello with electronics and other exotica. He returns to solo form on a new CD called Hidden Treasures. It’s an album of lush orchestrations featuring his cello, the Indian sarangi and sitara, Swedish nyckelharpa and more. We’ll hear a track from that and new music by Thus Owls, a band with members from Montreal and Sweden creating a theatrical dream pop on their album Turning Rocks. We’ll hear that as well as Davidge. He was the producer of Massive Attack for many of their albums and he’s just released his solo debut, Slo Light with a bunch of guests singers including Emi Green on the track we’ll hear. And speaking of Massive Attack, I’ve got them as well with Protection. It’s all ahead today on Echoes. Join the Echoes CD of the Month Club. and get Lyla Foy’s Mirrors the Sky, the April CD of the Month. You’ll get great CDs and help support Echoes at the same time. You can do it all right here. Tonight on Echoes, Connections from 1967 to 2013.
and Ambient Chamber music Tonight on Echoes. I must be feeling a bit nostalgic today. I find myself going back to some of my earliest musical influences and to the early days of Echoes. 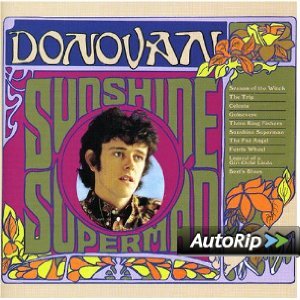 From the 1960s, I’ve got a song by Donovan, an artist who I think is an underrated influence on contemporary singer-songwriters. His Sunshine Superman, is, song-for-song, a beautiful document of 60s tripped out psychedelia and optimism. We’ll hear a tune from that album that looks to the darkside. Then it’s up to 1969 and the debut from King Crimson, In the Court of the Crimson King. Unlike the contemporary editions of this band, early Krimson could knock out a few ballads, especially when Greg Lake was singing the words of Pete Sinfield. Moving up a decade, I’ll be dialing up some krautrock by Michael Rother from his second album, Sterntaler, with that beautiful guitar sound, the motoric drumming of Jaki Liebezeit and production from the late-Conny Plank. .
From the early days of Echoes, look for music by Patrick O’Hearn, a musician who has remained a signature artist on the show from day one. 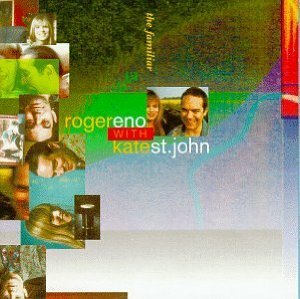 Then there’s an album by Roger Eno & Kate St. John. Roger is Brian’s younger piano playing brother. St. John played oboe in The Dream Academy. They made an early album of ambient chamber music called The Familiar before going on to form the chamber rock group, Channel Light Vessel with Bill Nelson. We’ll hear one of many haunting tracks from The Familiar. But of course, this is Echoes and I have lots of new music for you. We’ll hear from the new album by Bombay Dub Orchestra, Tales from the Grand Bazaar as they continue to be masters of eastern fusion. 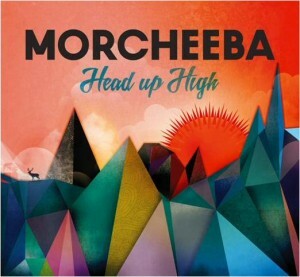 Morcheeba returns with a new album, Head Up High featuring singer Skye Edwards, and I have new music by Pieter Nooten. You may remember him from Clan of Xymox, an 80s new wave band on 4AD. He went on to record a much loved album, Sleeps with Fishes with Michael Brook. Now he returns with a double CD of ambient chamber music, Haven. It’s all there and more tonight on Echoes. Sign up for Echoes CD of the Month Club. CD of the Month Club members will be getting Akara’s The World Beyond. Follow the link to the Echoes CD of the Month Club and see what you’ve been missing. Support Echoes by becoming a member of the Echoes Sound Circle. Think of the great artists you love on Echoes. Think of the informative interviews and exclusive live performances. Then, think of a world without Echoes. You can make sure that never happens by becoming a member of the Echoes Sound Circle. Echoes is a non-profit 501(c3) organization just like your local public radio station. And all donations are tax deductible. You can support Echoes with a monthly donation that will barely disturb your credit card. Join the Echoes Sound Circle and keep the soundscapes of Echoes flowing! After yesterday’s blast from the past for our 24th anniversary we fast forward into the Echoes of 2013 even if some of it includes a song from 50 years ago. Back in 1963 Barbara Lewis had a hit with the song “Hello Stranger” with backing from The Dells. That title may not ring a bell but you’ll remember the chorus: “Ooh, seems like a mighty long time, shoo-bop, shoo-bop, my baby, ooh.” That’s one of the few clues to the song when Julia Holter completely reinvents it on her album, Loud City Song. I’ve also got some dimensions in Trip-hop with two of the best known acts from that movement, Portishead and Morcheeba. Both groups are fronted by great singers, Beth Gibbons and Skye Edwards respectively. It’s all ahead in the second show of our 25th year today, on Echoes. The Cabaret of Una on Echoes. Una is interviewed tonight on Echoes. Trip-Hop music of the 1990s brought several worlds together. In groups like Portishead, Massive Attack and Morcheeba, you could hear elements of hip-hop, electronic music, lounge moods and torch song singing. Una has taken those sounds in a different direction over the last six years, adding jazz, film scores and cabaret into the mix. Their latest album is called The Laughing Man. Hear about this band when I talk to them tonight on Echoes. Eddie Barajas on Vinyl: Well, basically I like to sample very random records. For example, I was just using a text typing record, an instructional course. I also have a self relaxation record, which has some soothing sounds and nice things. I like, I like the guy and what he says and everything, so…I tend to go thrift store shopping a lot and start digging through the old vinyl, and you know, Disney records, children’s stories, Aladdin, just the most random things I can find I tend to try and slip in there. Jennifer Nice on the moods of Una: So one of the latest things we would do is to create like a film noir set and we would have like old pictures of our relatives on the DJ table with a slow running fan, like an old detective’s office…antique phone, just kind of all dressed up. Hear the complete Una interview tonight on Echoes. Sign up for Echoes CD of the Month Club. CD of the Month Club members will be getting Darshan Ambient’s Little Things 10 days before its released. Follow the link to the Echoes CD of the Month Club and see what you’ve been missing. Hear Hooverphonic Interviewed on Echoes tonight. Hooverphonic is a band that’s been at the borders of popularity for the last 15 years or so. They’ve actually had several hits in Europe and you might’ve heard their music in movies like Stealing Beauty and on TV ads for Volkswagen and Motorola. This Belgian group started out doing electronic Trip-Hop, but now makes a symphonic pop that could’ve come out of a James Bond film. Two years ago they put on the album, The Night Before and it’s just been released in the US. In the Echoes Interview we plug in Alex Callier and NoémieWolfs from Hooverphonic. Alex Callier: We always try to kind of combine the best of the past with the best of the future, you know, so we combine all kinds of modern technology with old school technology and try to find a really nice mix. So we’re not completely retro, we never want our records to sound completely retro, but there’s definitely a retro vibe. But there’s also like very strong connection to the present and to the future. Alex Callier: Since the beginning we were already applying for the job as score writers for James Bond movies since beginning of Hooverphonic. Below, watch Hooverphonic “Anger Never Dies” from their album The Night Before. Sign up for Echoes CD of the Month Club. With the Echoes CD of the Month Club, you get great CDs like Melorman’s Waves. Follow the link to the Echoes CD of the Month Club and see what you’ve been missing. Hear Hooverphonic Interviewed in the Echoes Podcast. Hooverphonic is a band that’s been at the borders of popularity for the last 15 years or so. They’ve actually had several hits in Europe and you might’ve heard their music in movies like Stealing Beauty and on TV ads for Volkswagen and Motorola. This Belgian group started out doing electronic Trip-Hop, but now makes a symphonic pop that could’ve come out of a James Bond film. Two years ago they put on the album, The Night Before and it’s just been released in the US. In the Echoes Interview we plug in Alex Callier and NoémieWolfs from Hooverphonic. You can hear it in the Echoes Podcast. Hear the complete Hooverphonic Interview in the Echoes Podcast. Sign up for Echoes CD of the Month Club. With the Echoes CD of the Month Club, you get great CDs like Rachel Zeffira’s The Deserters. Follow the link to the Echoes CD of the Month Club and see what you’ve been missing. Tonight on Echoes we talk to Hooverphonic, the Belgian band that traffics in haunting dream-pop, grooving trip-hop and John Barry-inspired songs that sound like they stepped right out of a James Bond film circa 1965. They have a new CD out called The Night Before. It’s been out in Europe for two years but is just released in the US. Summer is near and I’m glad winter’s gone, but I still have to embrace A Bright Cold Day, the debut album from Dutch, a Philadelphia duo of Stoupe (Kevin Baldwin) from Jedi Mind Trick and singer Liz Fullerton. A Bright Cold Day is sweeping epic songs of heartbroken love over deep psychedelic rhythms and glitchy edges. Liz Fullerton is a torch singer for the apocalypse with a bit of Beth Orton‘s wasted languidness and the hell-storm power of Amy Lee from Evanescence. They do the post-modern, sultry trip-hop thing on the lead single, “Just Before the Rain” but they also engage in Shirley Bassey/John Barry cinematics on “Beyond All Walking” and heartrending loss on the surprisingly folky “Meaning of Unequipped.” I played that one a lot on WXPN‘s Sleepy Hollow a few months ago and I think I’ll start again. 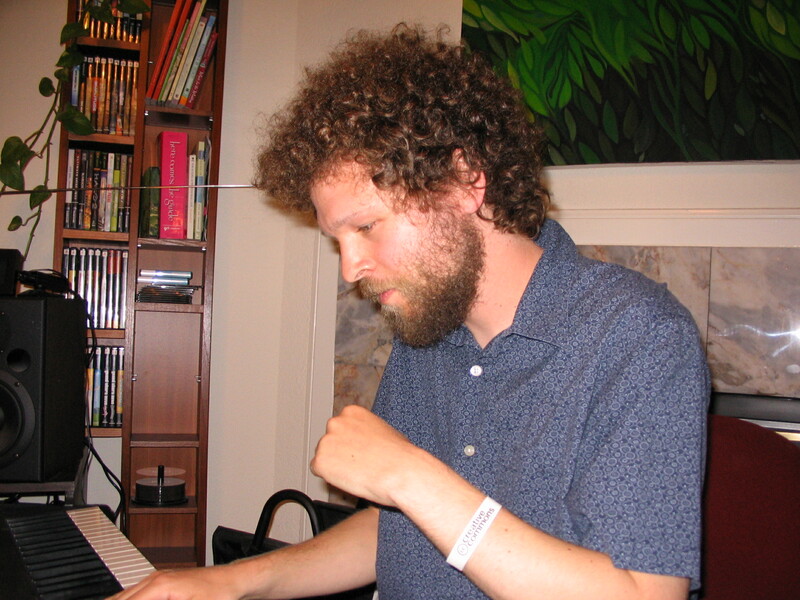 James Kirsch is a classically trained pianist who decided to plug in. For the last few years he’s been releasing albums that have down-tempo moods and jazzy improvisations under the name of General Fuzz. Kirsch is part of an eclectic generation of electronic musicians who might see a jam band one night and go to a techno-rave the next and that makes for a music that defies easy categories and expectations. Cool Aberrations was a favorite Echoes CD from 2007. (Kirsch likes wordplay. Read Cool Aberrations as Collaborations). Cool Aberrations was #5 on our 25 Essential Echoes CDs for 2007. Our audience placed it at #20 on our 2007 listener poll. It’s a more elegant affair than Cool Aberrations, starting out with catchy grooves and funky keyboard, but each track starts getting less groovin’ and more classical, culminating in the final piece, “Goodbyes,” a serene classical chamber piece based on a piano theme. But it’s in that deliciously impure zone where Deodato-like jazz, chilled trip-hoppy glitched beats and classical ambiences converge that General Fuzz operates best. Tracks like “Eye Heart Knot,” “Comfort Zone” and “Warm Steel,” get toes tapping and heads floating. James has released a beautifully packaged conventional CD, but you can also download his disc for free off his website. He also has a detailed analysis of the composing process for each song on his site, complete with audio of early versions laid out in a custom, multi-track player. It’s pretty phenomenal actually, to hear individual elements that often sound diametrically opposed to each other, yet General Fuzz finds a convergence. He likes musical games as much as word games. You can also hear that James is a player as much as a programmer. You can hear an interview with General Fuzz here. General Fuzz has a track he recorded live for Echoes that appears on our CD, Resonance: The Echoes Living Room Concerts Volume 13. You can stream it off our myspace page at echoesspace.